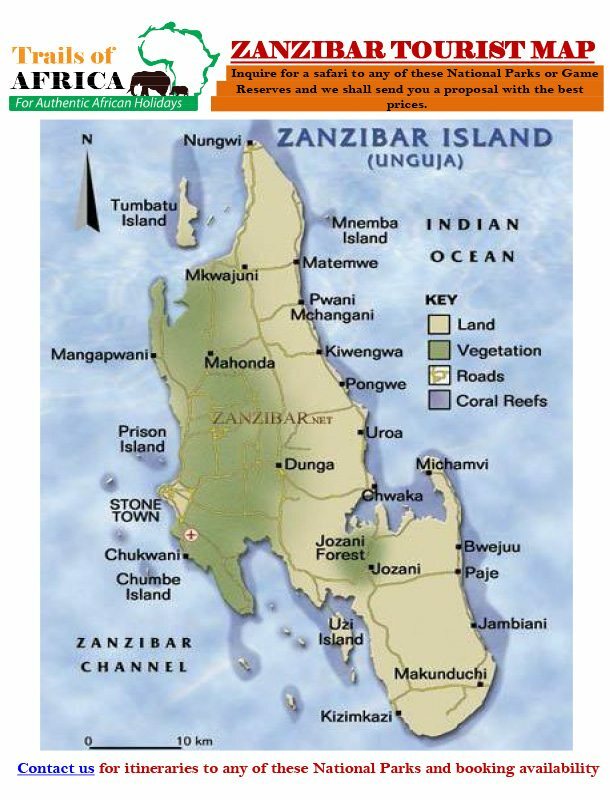 Pick-up from Zanzibar airport or harbor to Stone town hotel. Overnight in Stone Town on Bed & Breakfast basis. Depart for a guided town tour. This tour commences with a visit to Zanzibar’s colorful market. Alive with the buzz of locals bartering fresh vegetables and baskets of tropical fruit, amongst the heady smell of Jack fruit (and many other exotic fruits) we continue on to the site of the cathedral built in 1874. The cathedral signifies a potent time in Zanzibar’s history and stands on the sight of a past slave market, its high altar standing on the exact site of the whipping post. Slavery was abolished in 1873 through a decree passed by the then current Sultan of Zanzibar. From here we visit the residence of the late Sultans of Zanzibar, ‘Tip Tip House’, the Old Fort, ‘Peoples Palace’ and the House of Wonders’, full of intrigue and vivid history from a bygone era. The tour ends with a stroll through the narrow streets of the old stone town, the heart of Zanzibar’s vivacious history with time for shopping. You will have free time in the afternoon for you to explore further on your own or to relax. In the evening, depart from the hotel for a sunset cruise along Stone Town waterfront. Dinner at a local restaurant. Overnight in Stone Town. Spend days at leisure on the beaches of the East Coast or at the resort’s swimming pool. Scuba diving or diving course for beginners are available (at an additional cost) at most of the beach resorts in Zanzibar. Accommodation on Half Basis is included. After breakfast transfer to the apt for flight back home.